Under sunny skies, people held banners, chanted and waved flags during the parade, which began on Elgin Street, near city hall, and stretched several blocks. 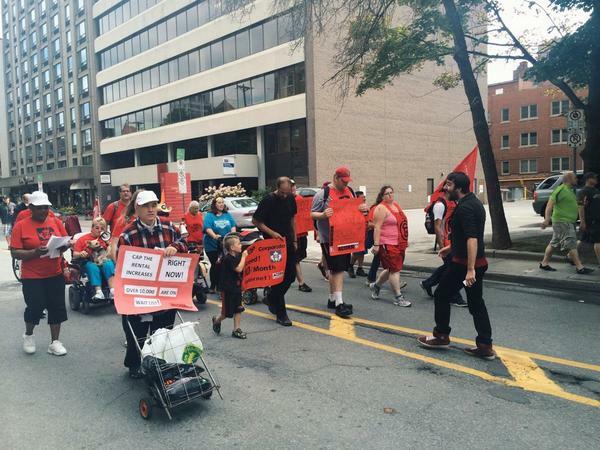 Mayor Jim Watson walked near the front of the parade alongside a banner for the Ottawa & District Labour Council. The parade continued along Somerset Street West while onlookers lined the streets, many taking photos. In the crowd, there were two horse-drawn carriages, bagpipe players and even a person wearing an elephant costume in the scorching summer heat. The march ended around around 1 p.m. at McNabb Park where people were treated to hot dogs, watermelon and corn on the cob. There was also a bouncy castle, horse rides and balloon animals for the kids. During the parade, the Citizen talked with several people about what the day meant to them.